If Canada's history suggests that it is one of the most peaceful, well ordered, uneventful countries in a troubled world, then why have Canadian governments been so fearful of enemies within? That's the question that the University of New Brunswick’s Greg Kealey will answer at the upcoming Ideas That Matter lecture on Sept. 26. "Since before Confederation, Canadian governments have run spy operations, with undercover agents, secret sources, agents provocateurs, coded communications, elaborate files, and all the usual apparatus of deception and betrayal familiar to aficionados of spy fiction," says Dr. Kealey, UNB history professor and past vice-president (research) and provost. "But instead of conducting such activities abroad, Canadian governments have done so at home, and usually against Canadian citizens." Dr. Kealey will talk about the history of the Canadian government’s efforts to spy on its own citizens. His talk entitled The RCMP, CSIS and Spying: Canadians Under Surveillance will take place at 7 p.m. in the J. Harper Kent Auditorium, Wu Conference Centre, UNB Fredericton. Dr. Kealey’s areas of specialization are Canadian social and labour history, and security and intelligence history. His contributions to scholarship include serving as founding editor of Labour/Le Travail, general editor of the Canadian Social History Series, and as author or co-author of four books, including his most recent Secret Service: Political Policing in Canada from the Fenians to Fortress America. Ideas That Matter connects the community with high-profile research in a way that stimulates discussion. The series features leading scholars whose work in the social sciences and humanities helps shine light on issues and challenges that live at the heart of the province’s social values, cultural perceptions and political motivations. Over the past 30 years, Dr. Kealey has received numerous grants, fellowships, prizes and appointments, including visiting professorships and being named fellow of the Royal Historical Society and of the Royal Society of Canada. 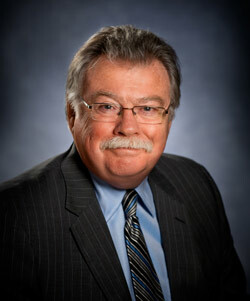 Dr. Kealey is past vice-president (research) and provost at UNB. In this role, he chaired the boards of UNB’s four research institutes. He also served on the boards of the Muriel McQueen Fergusson Centre for Family Violence Research, the New Brunswick Health Research Foundation, the New Brunswick Innovation Foundation, and Populomix Cancer Research Institute, to name a few. As a historian and expert in Canadian social and labour history, Dr. Kealey has lent his time and knowledge to a number of committee boards including the Canadian Historical Association and the Social Sciences Federation of Canada. He is a member of the Council of Canadian Academies Expert Panel on the State of Science and Technology in Canada. Dr. Kealey holds a bachelor of arts in modern history from the University of Toronto and master's and doctoral degrees from the University of Rochester.